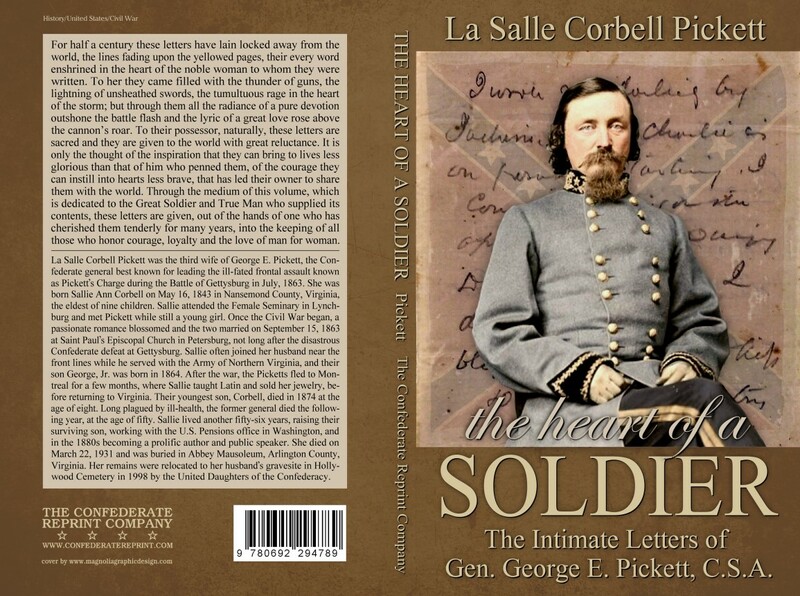 This little volume is a collection of letters of the dashing Confederate General George E. Pickett to his third wife, La Salle “Sallie” Corbell, whom he married in 1863. In the introduction, Sallie recounts favorite personal memories of her husband, including their first meeting and subsequent courtship. 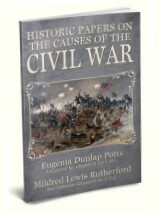 She then gives an overview of his military experiences, beginning with his participation in the suppression of the San Juan Islands rebellions and ending with his career in the Confederate army. Pickett's letters focus on his Confederate career, include candid descriptions of camp life, his analysis of several major battles, and his private thoughts and feelings as the war progressed. Pickett is herein portrayed as a devoted general who reveled in battle, yet suffered tremendously over the deaths of his soldiers. His letters also reveal his distress at fighting old friends from his West Point years, and his sorrow over the country's violent division.